Well, this is a really a great news for Facebook users. How many of you have been troubled by some nefarious software or tool which you don’t remembering installing on your computer? Almost every one of us have experienced it and we know how bad it can be. However, we live in good times where many big companies are working on improving user’s security and privacy. Facebook, the largest social media network, has announced that it will identify and remove malicious software from the user computer for free. Facebook had been working with Kaspersky Lab to develop a tool which will also be implemented by other reputed security firms like ESET, Trend Micro, and F-Secure. The tool is already operational and has helped Facebook removed malicious programs from more than 260,000 computers of Facebook users across the globe over the last 3 months. The clean-up tool runs on the user computer in the background when the user browses Facebook.com and presents him/her with the results when it has finished scanning. This tool uses an algorithms based on a number of signals to identify infections in the user’s computer. It can even detect those malwares which are not actively spreading malware and sending spam messages through the user’s computer. Why Facebook Has Developed It? 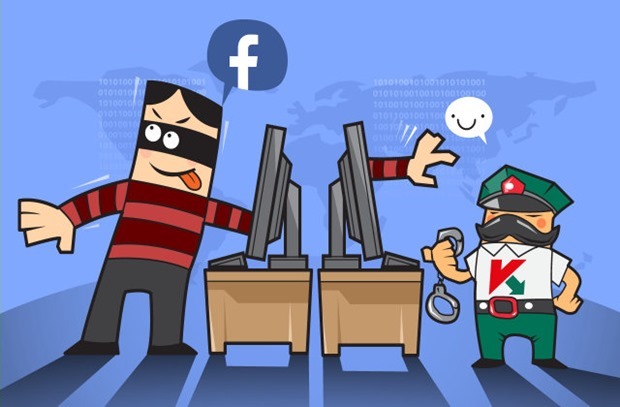 Kate Kochetkova from Kaspersky Lab noted in a separate blog post that cybercriminals are now targeting Facebook users to promote weird things and malicious links on their behalf. While Facebook is never a source of such things, the users get under the wrong impression that they were infected from Facebook. She also advises the users to be cautious of fake emails claiming to be originating from Facebook.com. Such emails often contain phishing links having a strong call-to-action, which when clicked install malicious programs into the computer. “Of course, Facebook itself is never the source of malicious software. But you can get infected in many ways. For instance, Facebook is a major aim for phishers: 1 in 5 phishing scams targets Facebook notifications. So be vigilant when you receive emails appearing to be from Facebook: as they can be fake. There are lots of Trojans targeting Facebook users as well,” she noted. Facebook knows about this and hence has developed a free anti-malware tool to enhance the security of its users. This is certainly a great move from Facebook. However, please be advised that this free tool can’t replace your anti-virus and anti-malware program. It just adds an extra layer of security to your computer. As a rule of thumb, we would advise you to never open links pointing to any too-good-to-be-real kind of offers and deals. Also keep your anti-malware solution updated always and you won’t have to worry about such infections and phishing scams any more. This means we will have to install this “tool” provided by facebook. “Who will guard the guardians” seems an appropriate question to ask. Is wrong. Plain and simple you always need to worry about phishing, phishing is just not about infecting but also about stealing cookies and sessions to other websites that you may be logged into currently. Be safe, don’t click anything from people you don’t know and if you do know them, verify the link is safe by confirming either through email/text/voice. You can never be too cautious in this day and age. Thank you for sharing your feedback. I completely agree with what you said but you missed to notice the point I made as a ‘rule of thumb’. Now, besides what I’ve advised, I would also recommend users to not open any shortened URLs or click on any hyperlinked content such as images.